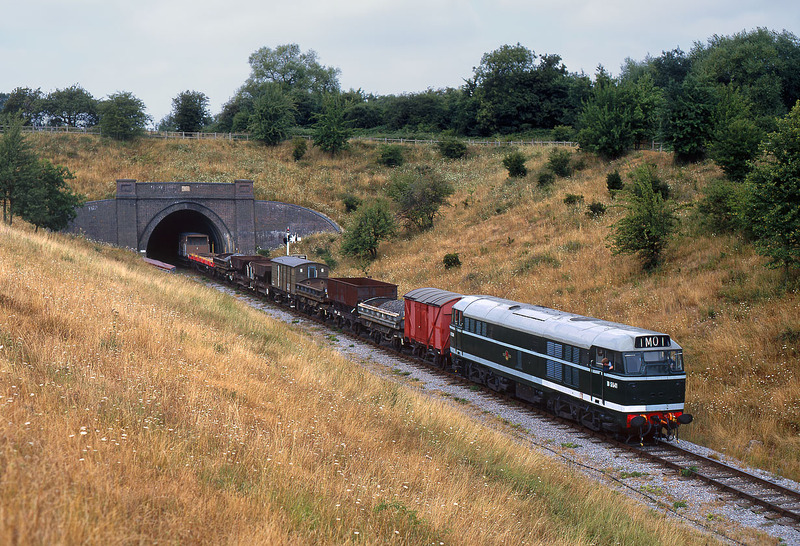 D5541 (31123) emerges from Greet Tunnel on 7 August 1995 with a Far Stanley to Toddington demonstration freight. Unfortunately the day that D5541 was rostered for this train turned out to be mostly cloudy, unlike the rest of the Gloucestershire Warwickshire Railway's 1995 Diesel Week. Although obviously I had seen the train on the outward trip, the fact that it just fits in the available gap here is more by luck than judgement!